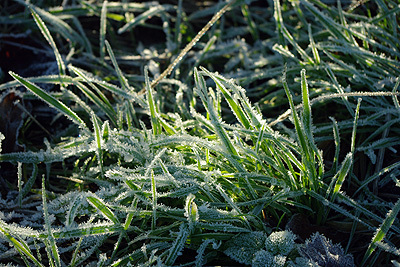 Stay off the grass when it's frosty. 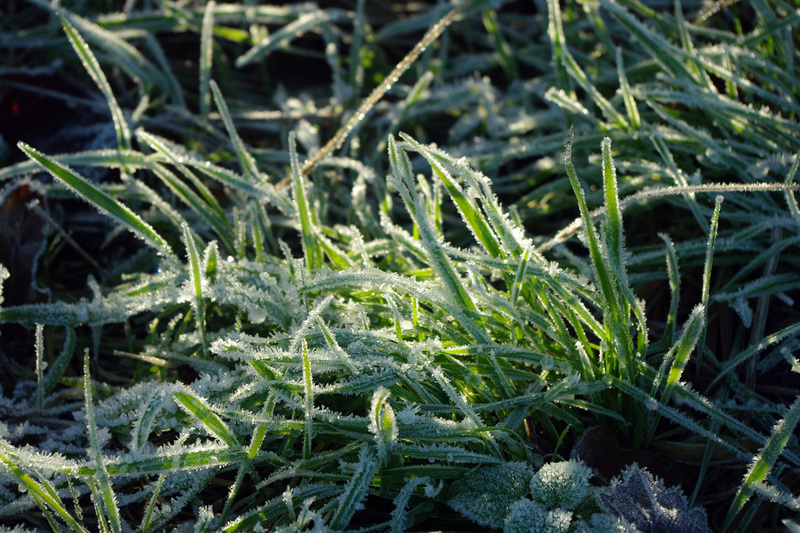 It will recover if left to thaw out, but walking on it can damage many of the leaves. I think of it in terms of having cold fingers, simple things like knocking on a door suddenly become incredibly painful, it's like that for the grass being walked on when frozen. Eldest son puts it terms of having your frozen ears flicked by the bigger boys when standing at the bus stop (would he wear a hat when we told him? - no he wouldn't). Feed the birds, winter really starts to bite now, the autumnal glut of food is over and constant low temperatures are making life more difficult. Do you have any digging to do? weeding? 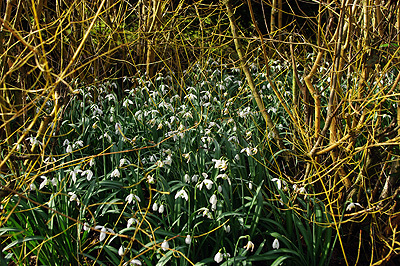 If you venture into the garden this month, you may notice with some horror that the weeds have continued to grow, especially if it has been mild and rainy. If you do summon up the energy to go out and dig, leave the clods of earth as they fall off the spade, don't bother breaking them up, the frosts will do that for you. Frost isn't all bad. 1/ Don't prune any members of the Prunus family (no pun intended). This includes all cherries, plums other fruit with a single stone rather than many pips including hedging laurel. Pruning now can make them susceptible to a disease called "silver leaf" which can kill whole branches and not uncommonly the whole tree / shrub after a while. These are best pruned in full growth in early to mid summer. 2/ Don't prune hard if there's likely to be a frost in the next couple of days before the plant has sealed off the wound. 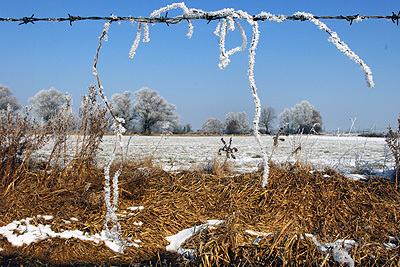 If frost gets into the open unsealed wound it can kill some of the living tissue and cause die-back or let disease in. 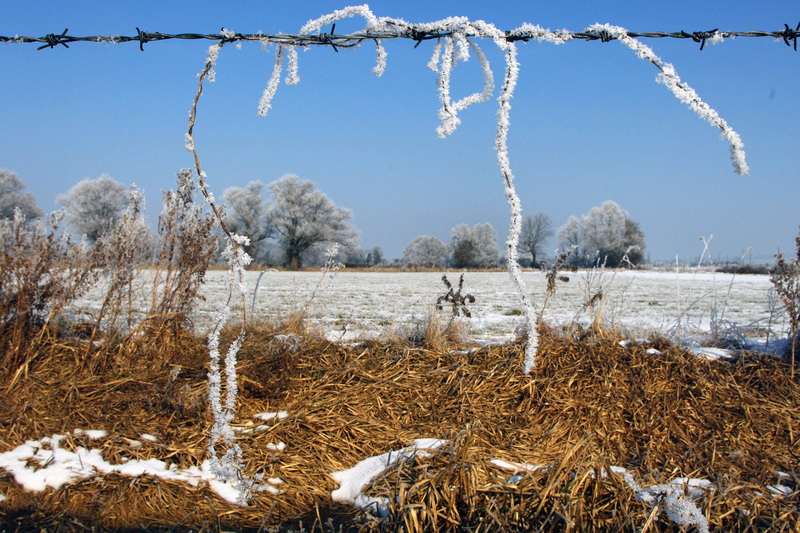 Snow and frost damage - If you have much snow the chances are that you may have trees or shrubs that are been damaged by it. The build up of the weight of snow can snap off branches leaving a large untidy open wound. Clean any such wounds with a saw or secateurs, taking the broken stump closer to the trunk if possible. Disease is much less likely to be able to enter through a small clean cut than a large ragged tear. It helps to kill overwintering pests such as aphids so they're not in a position of strength when it comes to attacking your plants in the spring. It helps break up the soil, opening the structure. 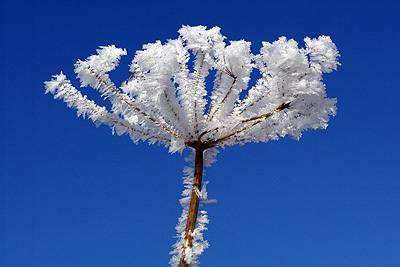 It gives overwintering plants and animals a definite signal that it's still winter and to stay wrapped up until spring. 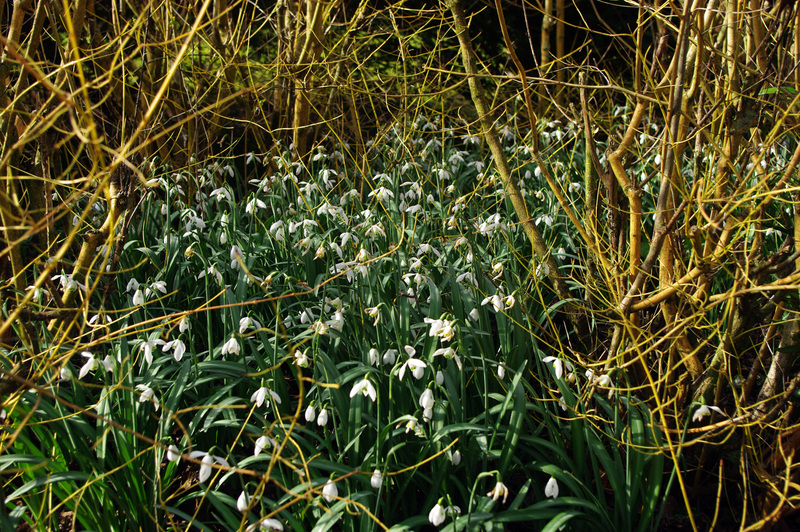 In recent years plants have started to wake up or flower too early only to be set back by a frost later on. It can cause havoc with nesting birds too. Don't forget to Wassail your fruit trees on January the 17th. Wassailing was an annual custom in Britain where fruit orchards were common right up to the early 20th century. It entails celebrating good heath to the fruit trees and an encouragement to fruit well, usually taking place early on in the New Year on the 17th of January (old "twelvey" or twelfth night). You go out and toast the trees and throw your toast over the trunk of the largest tree. Dancing around them and generally making merry is equally as effective. Whenever I mention this to people there's always one who says "do you have to be naked?" well it's not a requirement and I've never heard it mentioned, but if it makes you feel better and is not done in public view, I guess it can't hurt. Just make sure you have somewhere warm to go later, it can get cold on a January night. As you do give them a wassailing.